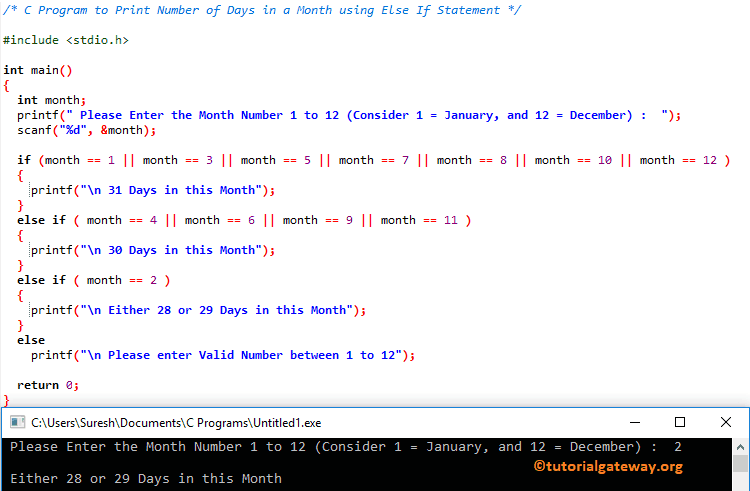 In this article, we will show you, How to write a C Program to Print Number of Days in a Month using Else If statement, and Switch Condition with examples. This C program will ask the user to enter any number between 1 to 12, where 1 is January, 2 = February, 3 = March,………., and 12 = December. Based on the user entered integer value this C program will print number of days in a month. To accomplish this goal we are using Else If Statement. This is an ideal approach to deal with multiple conditions. 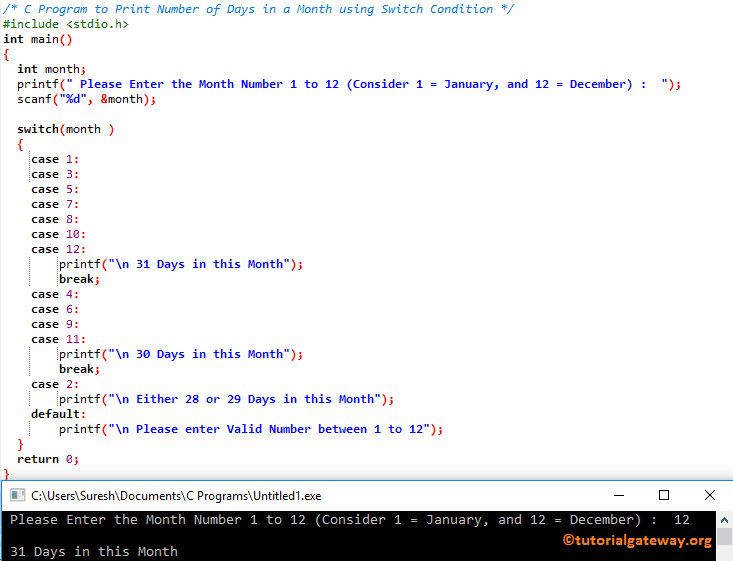 In this C program, we are using the Switch Case approach to print number of days in a month.